On 8 November, 2015, when results for the Assembly polls in Bihar were announced, the scenes on Patna's Veer Chand Patel Road promised a political whirlwind. Outside the Janata Dal — United (JD-U) office on the busy Patna thoroughfare, hundreds of Congress and Rashtriya Janata Dal workers danced under a huge cut-out of Nitish Kumar, shouting slogans challenging Prime Minister Narendra Modi's Bharatiya Janata Party (BJP). Later in the day, as Kumar hugged Lalu Prasad Yadav at his residence, the RJD leader announced he would soon take his lantern (party's symbol) to Uttar Pradesh to launch a war against Modi. Standing beside him, Kumar, under whose leadership the Mahagathbandhan — JD-U, RJD and Congress — had just trounced the BJP, beamed like an emperor in the wings. That day seems so far away in history with the Mahagathbandhan leaders going in opposite directions — one in the BJP's fold, the other in the waiting arms of the law and the third on a solitary path to take on Modi. With his decision to support NDA's presidential candidate Ram Nath Kovind, Nitish has virtually made his alliance untenable in Bihar. Politics makes strange bedfellows. It is also the art of justifying the impossible. But, Kumar's decision to go along with the BJP appears to be the final step in a concerted strategy to snap ties with Mahagathbandhan partners and do business with the BJP. 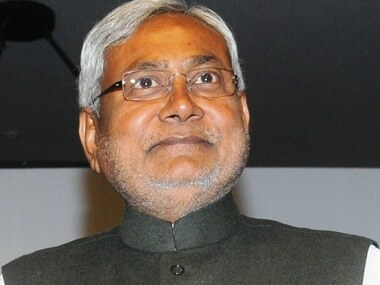 Nitish is known for political opportunism. He is perhaps the only chief minister in India who has been in alliance with every political party in the state. Starting as Lalu's ally, he has had the privilege of changing partners according to his convenience and, courtesy his malleability, remaining in power. His hopping-skipping-jumping and then returning to the starting block can be best compared with the politics of Jat leader Ajit Singh. But, the only difference in the politics of opportunism of Nitish and Singh is that the Bihar chief minister manages to give an ideological spin to his political vile and manoeuvring. His latest volte-face on Kovind is a classical Nitish. The Bihar chief minister, ironically, was the pioneer of the idea of a joint opposition candidate for the presidential election. His party colleague Sharad Yadav was not only one of the prospective candidates but also the party's representative at opposition meetings to discuss a joint candidate. Kumar, in an exhibition of running with the BJP and hunting with the opposition, skipped deliberations and instead liaised with the prime minister. 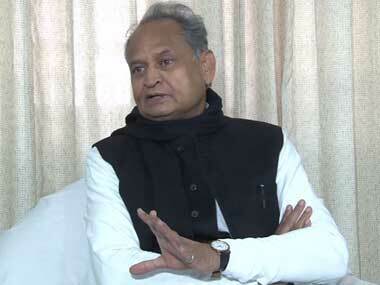 And now he had decided to support Kovind, saying he is the first governor from Bihar to have been named as the ruling party's presidential candidate. Never mind the possibility of Meera Kumar, a Dalit leader from Bihar, being the opposition's candidate. 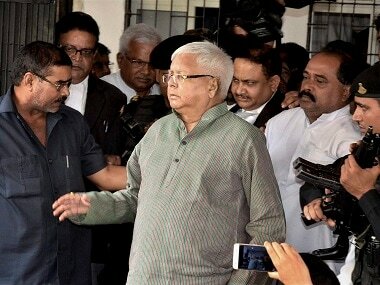 What could be Nitish's compulsion? Just a few years ago, Nitish had become the rallying point for the anti-Modi alliance. By adopting an ideological stand on Gujarat riots and politics of secularism, he was widely seen as a counter to the BJP under Modi. "This is politics. One has to sometimes wear the skullcap and sometimes apply tilak," he had famously said. During the campaign for the Bihar Assembly election, Nitish was belligerent, taking on Modi on every front, putting the prime minister on the backfoot with crafty counters like 'Bihar in my DNA' and challenging the development narrative of the BJP with his bottom upwards approach against the ruling party's focus on corporates and big-ticket investments. By all accounts, it seemed Nitish was talking to a national audience. But, for some strange reason, Nitish seems to have given up his ambitions of taking on Modi, becoming a challenger to the prime minister in 2019. He appears inclined more towards running Bihar and if required, even with the support of the BJP. Nobody knows what Nitish gains by scuttling an ambition that looked politically logical and viable by returning to his regional roots. But, this is what Nitish appears to be content with at the moment. Knowing Nitish, this could be a clever ploy of sitting on the fence till the political landscape becomes clear. It may also be a clever strategy to keep the RJD in check and not allow Yadav and his clan to dictate the agenda. Or, it may just be the realisation that abhi Dilli door ast. The only casualty of this brinkmanship could be Kumar's own credibility. There are still two years left for the next General Elections to Lok Sabha. At the moment Modi seems unstoppable. But, the murmurs of protest among farmers demanding loan waivers and better prices for crop's, anger among traders because of roll out of GST and the cumulative effects of the disaster called demonetisation — something Kumar hailed and later criticised — could be ominous portents of the shifting mood on the ground. 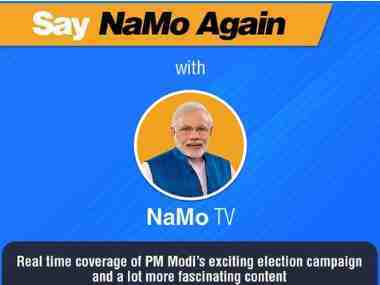 If a year from now, the country's mood changes and Modi loses his aura of invincibility, Kumar might regret pushing himself out of the race for the next prime minister.